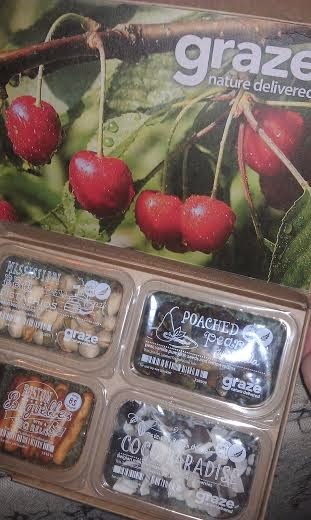 I love Graze so much. The snacks always show up at the perfect time and for $6 a month the price is perfect. 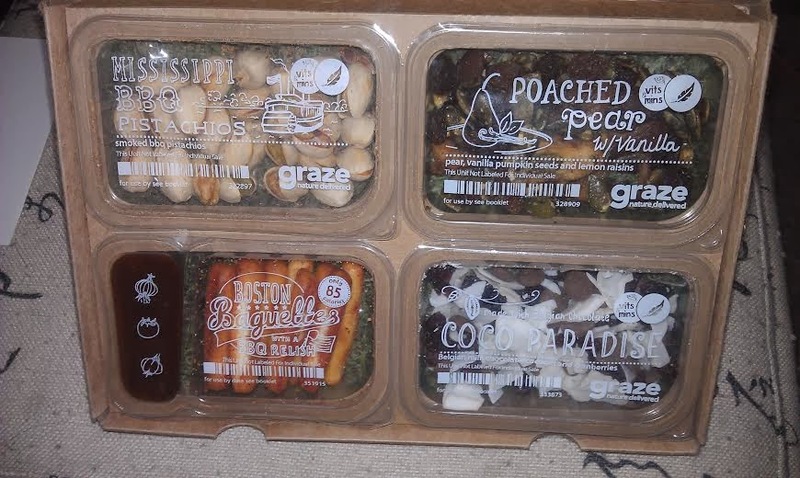 If you're looking to become a Graze box subscriber I highly recommend this one. One of my favorite things is that each box gives you a decent variety of snacks and you can tell them what you loved, and what you never want to have again. I'll admit there have a been a few things that I've let them know I never want to have again, but only a few. I like that the option is there. Another plus is that the card that comes with graze box contains all of the nutrition information you need for each snack. Makes it easy for those who are tracking calories to meet new years resolutions or weight loss goals. There is also the option to subscribe to LightBox the low calorie options from Graze box. I dug into the Poached pear w/ vanilla right away because I love pears and pumpkin seeds, and I have to say it was fantastic. I'll be marking that one as an 'I love it'. Looks like a good alternative if you want a healthy snack. WOW - looks like a great resource! Thank you for sharing it - I'm checking it out right now!